Japanese Emperor Akihito has undergone a successful heart bypass operation at a hospital in Tokyo, the palace says. Emperor Akihito’s surgery lasted just over five hours at the University of Tokyo Hospital. The emperor, 78, who has suffered from poor health in recent months, plays a largely ceremonial role but is respected deeply by many Japanese. Akihito ascended the throne in 1989 following the death of his father, Emperor Hirohito. The operation began at around 09:30 a.m. on Saturday and ended at around 15:30. “The operation went smoothly as planned,” one of the three surgeons, Minoru Ono, told a news conference. Emperor Akihito had reportedly nodded and he told his wife and daughter “it feels good” as he emerged from the effects of the anaesthetics. But another surgeon, Atsushi Amano, said it was too early to talk confidently of the operation’s success, saying it would be “measured by whether the emperor can regain the normal lifestyle he had wished for”. “We are looking forward to that day, but until then, we’ll use the word success sparingly,” Dr. Atsushi Amano said. Doctors decided to carry out the operation after tests earlier this month showed emperor’s heart condition had worsened since a year ago. Dr. Minoru Ono said two of the three coronary arteries were repaired using a blood vessel from another part of his body. 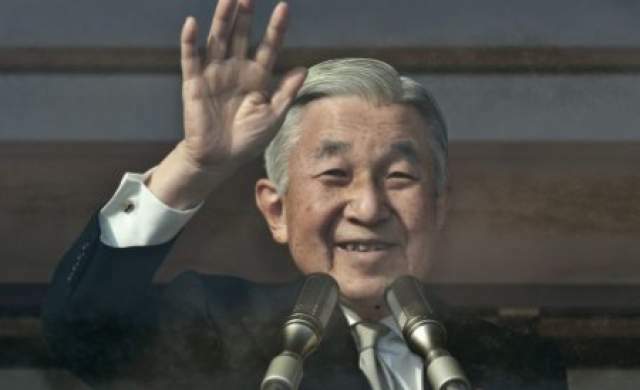 In 2009, the Imperial Household Agency said Emperor Akihito would cut back on official duties such as speeches and meeting foreign dignitaries. Under Japan’s 1947 Imperial House Law, the emperor is succeeded on his death by a male relative. Crown Prince Naruhito is first in line to the throne, followed by his younger brother Prince Akishino. Third in line to the throne is Prince Hisahito, Prince Akishino’s son.